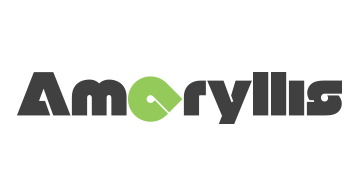 With a vision to optimize the complex world of payments between buyers and sellers, Amaryllis has developed a payment engine to support platform models. Built from the ground up, our customized and modular solution solves the unique business needs of each acquirer or 3rd party payment model. Providing critical functionality such as: instant boarding, split payments, payout management, reconciliation, and more. With an API driven solution and strategic partner focused model, clients can go live in a matter of weeks with little to no CAPEX costs. Our solution provides clients the ability to compete directly with other complex payment ‘disruptors’ by servicing the same high growth platform models. Aside from our ‘from the ground up’ technology approach, we are also uniquely positioned to provide consultative advice on complex payment models. By leveraging the Amaryllis founding team’s 60+ years of combined payment processing and Big 4 consulting experience, we are able to share “what good looks like” as well as make joint decisions with our clients as if we were on their side of the table. We would like to thank you for taking the time to learn more about us. Please do not hesitate to reach out to our team to learn more.